The Pine Bluff mill produces multiwall, converting and grocery bag grade unbleached kraft papers in basis weights between 40# and 78#. April 5, 2018 - Twin Rivers Paper Company LLC announced yesterday that it has entered into a definitive agreement to acquire the paper mill located in Pine Bluff, Arkansas owned by Mondi Group. 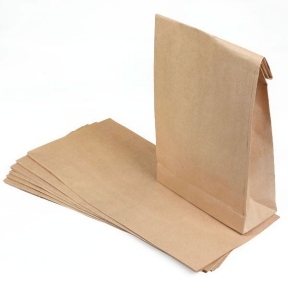 The Pine Bluff mill produces multiwall, converting and grocery bag grade unbleached kraft papers serving a variety of food, agricultural, and industrial applications. With basis weights between 40# and 78#, the mill has a capacity in excess of 140,000 US short tons per year. “The addition of the Pine Bluff mill is consistent with the evolution of our company and fully complements our overall mill system, product offerings and strategic direction,” said Bob Snyder, Chief Executive Officer of Twin Rivers. Mondi acquired the kraft paper mill and bag plant from Graphic Packaging in July of 2014 in a $105 million deal that included the Pine Bluff mill and nine bags plants across the US. Twin Rivers expects to complete the deal in the second quarter. Twin Rivers Paper Company, headquartered in Madawaska, Maine, is an integrated specialty paper company that produces specialty packaging, label, publishing, and technical specialty papers as well as dimensional lumber. It is owned jointly by Atlas Holdings LLC and Blue Wolf Capital. To learn more, visit: www.twinriverspaper.com.